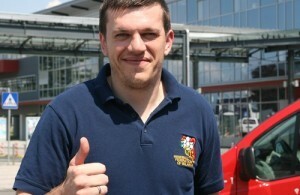 Home / News / EHF / Siarhei Rutenka will play against AG Copenhagen! Siarhei Rutenka will play against AG Copenhagen! 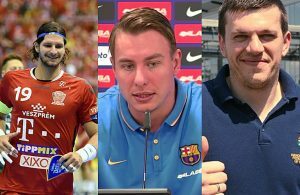 The EHF Court of Appeal panel has accepted the appeal of the player Siarhei Rutenka and the club FC Barcelona Intersport and dismissed the first instance decision made on 5 April 2012. 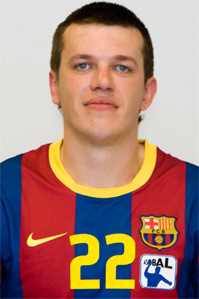 The EHF Court of Handball had sanctioned the player with a one match suspension for serious unsportsmanlike conduct, following his direct disqualification at the 45:28 minute of the second leg of the VELUX EHF Champions League Last 16 match between FC Barcelona Intersport and Montpellier Agglomération HB, on 25 March 2012. In the second instance, the panel found that the action committed by the player did not fulfil the characteristics of an action deserving further sanction. The player is therefore eligible to play in his club’s next VELUX EHF Champions League match which is the quarter-final against AG Kobenhavn on Friday 20 April 2012. ДО СВИДАНИЯ Сяргей! Rutenka ends playing career!